German company GEFERTEC’s 3DMP process is a very interesting metal 3D printing technology. 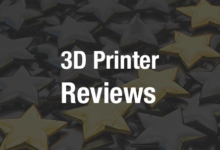 We profiled the company and its wire fed 3D printing technology a few months ago. Rather than focus on inexpensive parts (inkjet) or fine mechanical small parts (DMLS, SLM) their wire arc based technology is focused on large 3D printed metal parts. How large? Well, how about 1 meter or five-meter parts made out of various metals? What’s more, the industrial firm is committed to making its process affordable by opening up the process to let people use traditional low-cost wire arc feedstock. By positioning the technology in this way the company is trailblazing into the construction of airframes, wing spars and large structural components in aircraft. Welding based technologies such as Trumpf’s, Sciaky‘s and Optomec as well as the various other Directed Energy Deposition technologies are much less well known than DMLS/SLM/LPBF powder bed fusion technologies. Developed during the cold war they were extensively used on the Shuttle and other space programs before people decided to do something brilliant and make a wire arc or other welding technology go up a layer. They often are used for defense-related applications such as satellite, missile or experimental aircraft structural components. Indeed a number of these technologies were specifically developed for such defense applications. At the moment aerospace companies are very publicly focusing on tiny components. This means that they can gain from the advantages of 3D printing with these small components quickly while qualifying technologies. In my mind, the huge leap in design capabilities will also happen once full airframes, rockets, warheads and other large several meters in size components are qualified for aviation. At the moment this is being done on the down-low but the move towards civil aviation is happening behind the scenes. We now can see the market split into three in what I’ve termed the Goldilocks Moment. Essentially we’re seeing distinct segments in low cost, fine mechanical and large metal printing technologies emerge. One of the companies vying for a prize of the large-scale printing of metal parts for aerospace and other applications is the German firm GEFERTEC. We asked Tobias Röhrich the CEO of GEFERTEC to tell us about his firm and the 3DMP technology. What is 3DMP? What kind of parts are ideal for the technology? 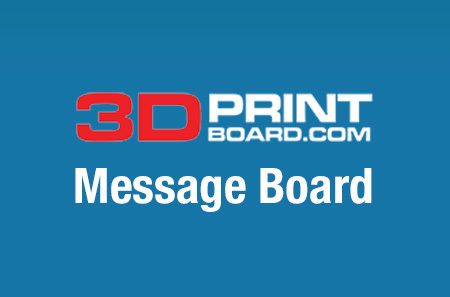 “3DMP stands for 3D Metal Print. It is the most economic additive manufacturing process for big metal part based on wire and arc. There are a lot of different interesting application scenarios for 3DMP. Once the parts must be made from metal, 3DMP is an economically and technically viable option for parts of a certain size, which are expensive or difficult to manufacture with conventional methods. In case you are looking at substituting milling it is of interest when expensive or difficult to machine materials are being processed. Especially when you look at parts with high cutting volume. 3DMP can be also an economically and logistically alternative to casting or forging in particular in case of low quantity lots, where you could save on the tooling cost and gain delivery time advantages. What sizes can you print parts? How are you positioning the technology vis a vis DMLS and DED? Is using wire feedstock cheaper than using powder? What kind of surface roughnesses can you achieve? Densities? What does a machine cost?